Tamper-resistant ties secure cables, cords, bags, and other loose items with a 50 lb. strength. Tighten and lock as needed. It won't stretch or slide. 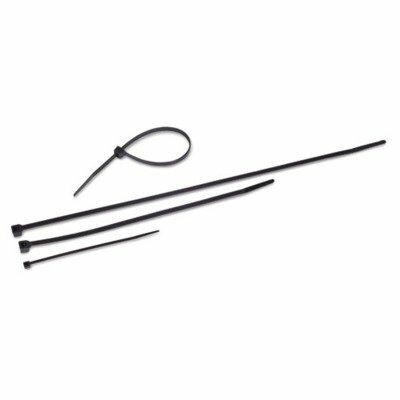 Black nylon cable ties are UV stabilized and suitable for longer-term outdoor use. If you have any questions about this product by Tatco, contact us by completing and submitting the form below. If you are looking for a specif part number, please include it with your message.